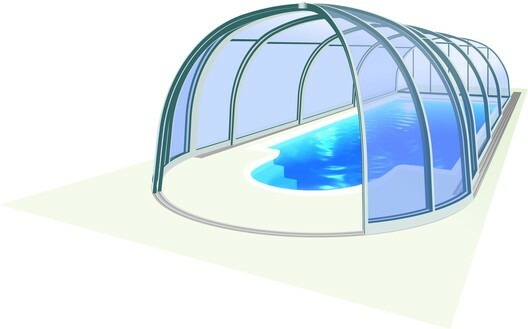 Enclosure STYLE™ is designed to enclose pool and terrace using existing standalone wall or walls of the house standing near. 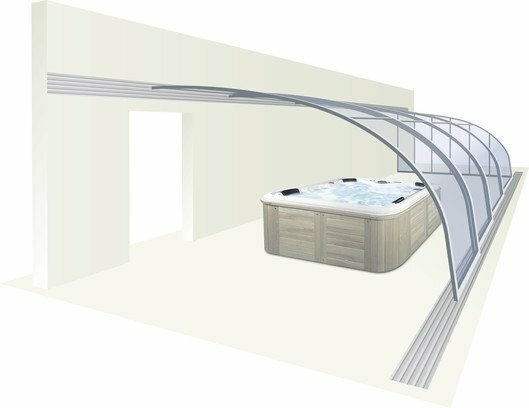 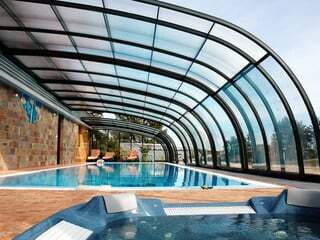 The curvy design of profiles gives the enclosure graceful impression that is not intrusive and together with the wall forms a compact unit. 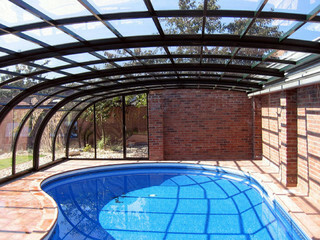 Upper enclosure rail is placed on the vertical wall. 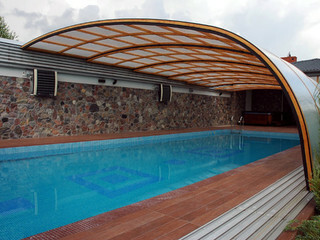 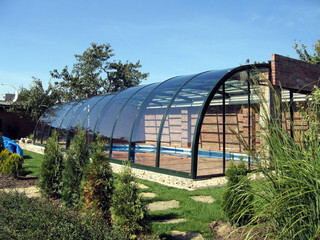 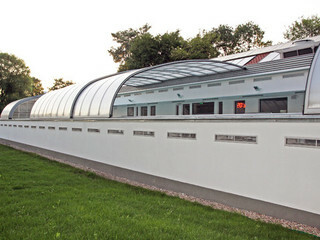 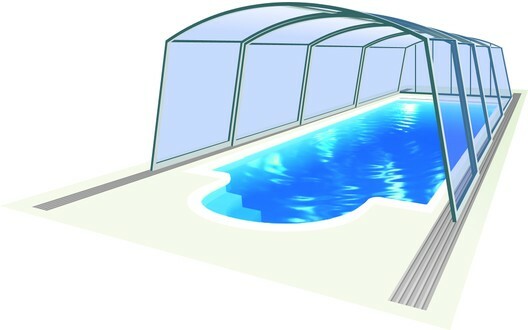 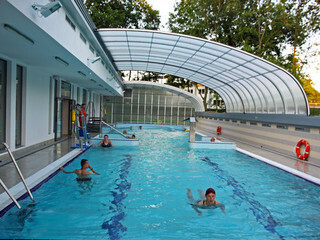 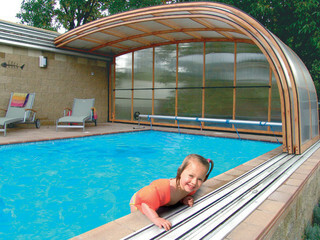 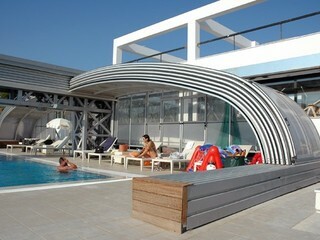 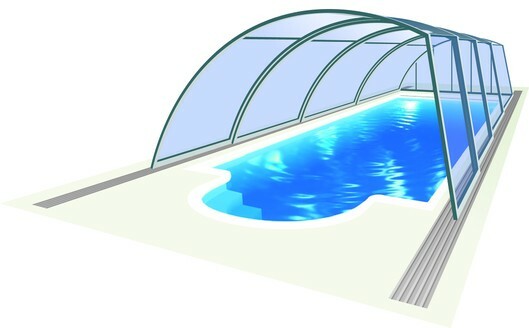 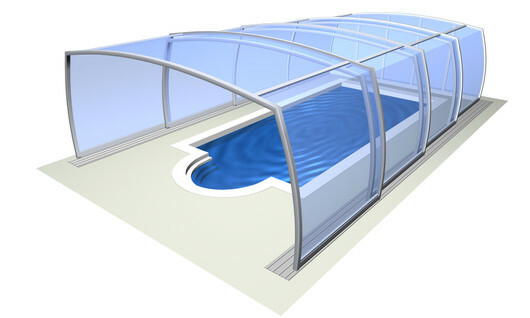 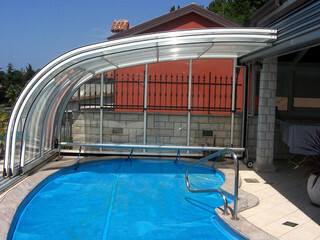 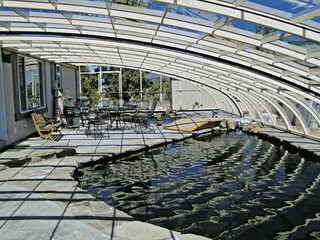 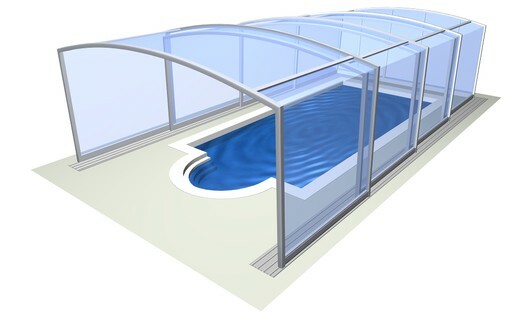 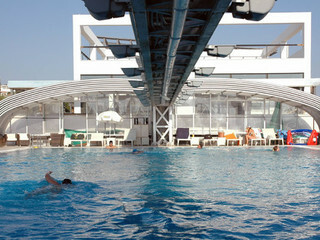 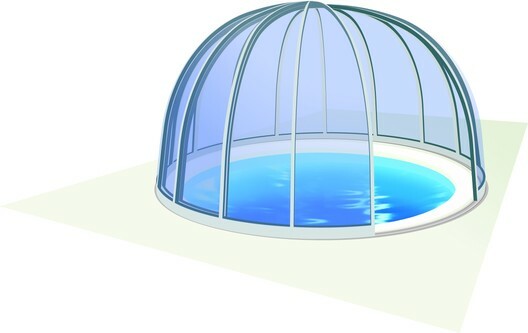 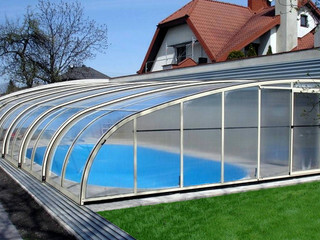 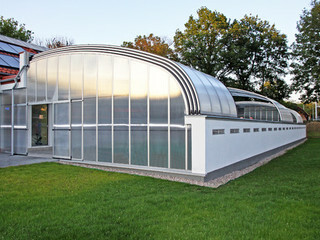 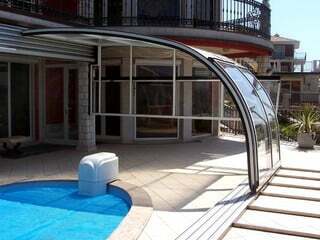 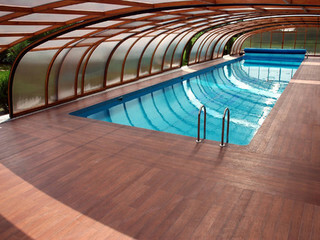 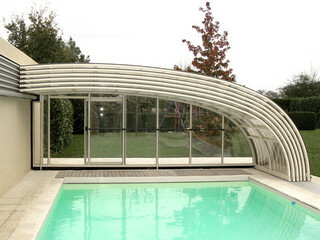 The space between wall and pool is nicely enclosed and thus protected.